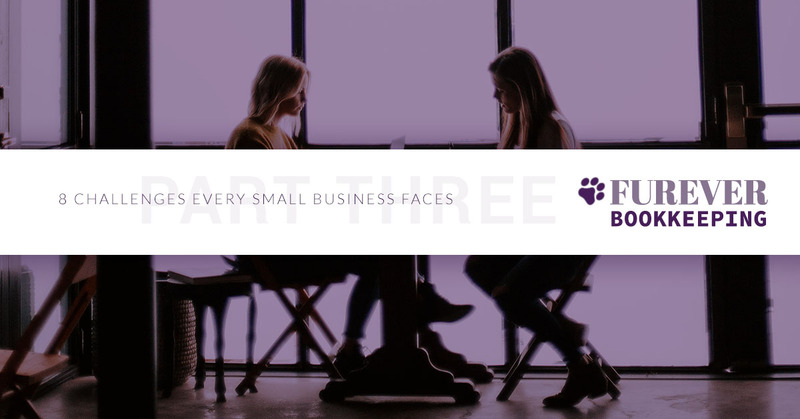 Hello, and welcome back to our third and final blog about eight challenges that small business owners face. If you haven’t read the first two blogs, you can read them here and here. So far, we’ve covered administrative overloading, insecurity in your industry, risk management, the use of technology, and hiring qualified employees early on. Keep reading to learn more and contact Furever Bookkeeping today if you’re looking for a reliable professional bookkeeper in Northern Virginia, Washington D.C., or Maryland. Customer loyalty is another struggle for a lot of businesses. Chances are, even if you believe your product to be entirely unique, there are still indirect competitors to your company. So, how are you supposed to get these customers to become loyal to you instead of your competitors? The answer is simple: put them first. Think about it from the perspective of the customer. Are you more likely to return to a company that never spoke to you after your transaction was completed or a company that quickly sent an email asking how your experience was? These customers are also more likely to write positive reviews for your company and become repeat customers. New businesses owners tend to focus more on quantity over quality when they first start which is the wrong way to look at it. If you’re trying to push out as many sales as you can without engaging with customers, you’re going about things the wrong way, especially if you’re targeting a small demographic. Regulations are constantly changing and can be a much bigger concern in some industries compared to others. Many business owners are unsure of energy, environmental or financial regulations that could significantly impact on the way they run their business. And not only will regulations get you into legal trouble if you’re not prepared, but it could impact your relations with customers as well. Many customers these days love supporting “green” companies who are doing their part to help the environment. If you have made your company very environmentally friendly, make sure you let customers know that — it can only help! Without investing in marketing, it’s unlikely that your business will ever succeed. You can’t expect your company to grow off of word of mouth only and any form of marketing will cost you if you want to get the most out of it. Many business owners make the mistake of starting too late in the marketing game and not keeping up with it. Are you ready to take control of your financial future? Financial security would not be possible without a qualified bookkeeper. That’s why, with fifteen years of experience, Kendra at Furever Bookkeeping is here to help your small business succeed. Contact us today for a free on-site analysis of your books in Northern Virginia, Maryland, or Washington DC—Let us repair your books today so you can focus on your company’s goals!